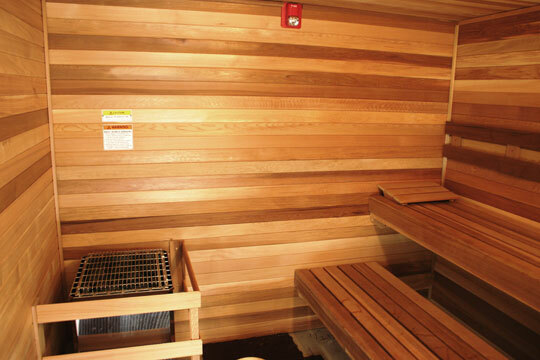 Northern Lights most popular DIY sauna kit is the traditional clear western red cedar sauna room. Western cedar is renowned for it's high impermeability to liquids and it's natural phenol preservatives. It is ideally suited for exterior use where humidity is high. The cellular composition of cedar - millions of microscopic air filled cells - provides a high degree of insulation. Cedar's natural oils are the reason it is decay-resistant and rich in colour. This makes Northern Lights saunas the best of it's kind and most durable. We have indoor sauna kits as well as outdoor barrel sauna kits. All saunas kits come with our 100% surgical Stainless Steel sauna heater with a life time warranty. 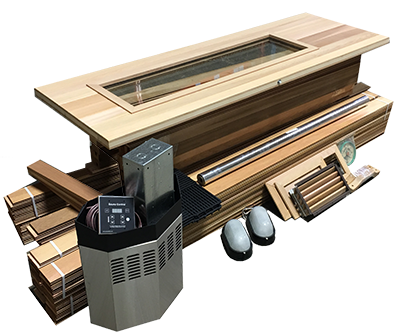 Sauna Kits also come with the option to heat with Infrared Sauna Panels or create the ULTIMATE sauna room by using a Hybrid Sauna HeaterTM with both convention heater and infrared sauna panel heaters. Our pre-cut material packages are available in any size or to any custom modification. 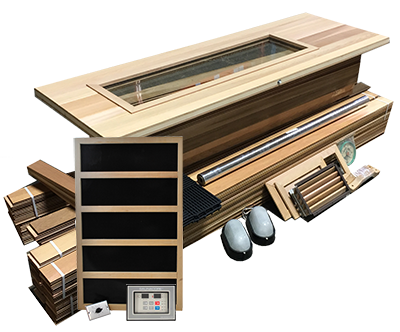 Material packages are equipped with everything you will need to finish the interior of the sauna room. Pre-arrangements of stud framing, insulating, and electrical wiring must be completed. If your carpentry skills are weak and you would prefer a simpler installation the look for Pre-Fab modular saunas. For a great selection of modular prefab sauna rooms then visit our exclusive distributor Northern Sauna at www.northernsaunas.com as they have complete packages for Pre-Fab Modular saunas. Click here for more information on how to use our DIY Sauna Kits. 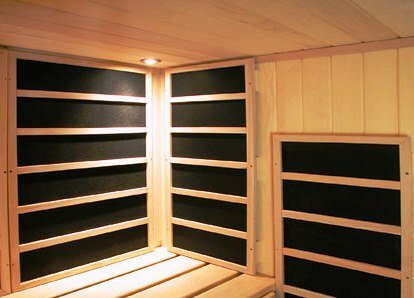 How to build an Infrared Sauna room.